porthelen: HAIR CARE | Pink Lady! Ever since I was very little I've always had light blonde hair and I've never really experimented with changing it's colour, but when I have, its been a similar light blonde shade in a semi permanent hair dye mix. 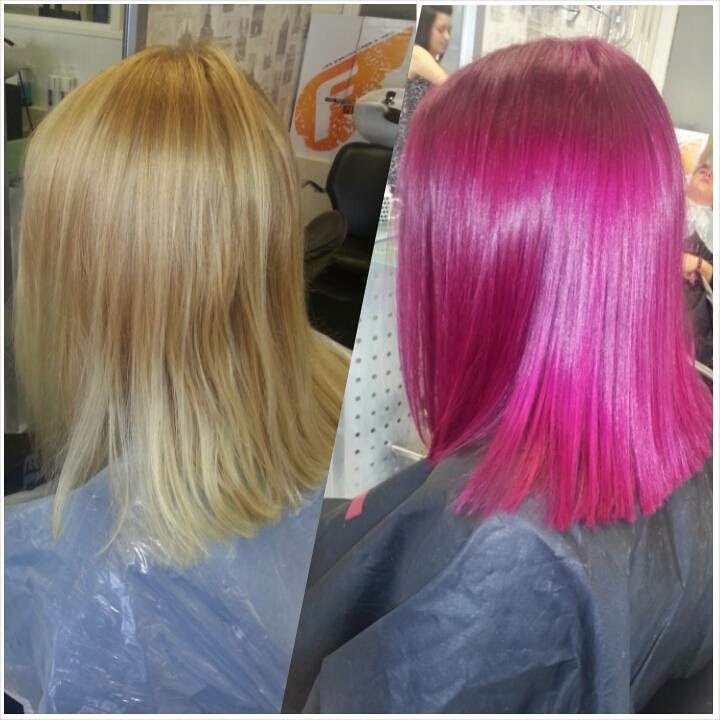 Mid-2014, I went through a phase of really, really, REALLY wanting a crazy hair colour and in August I finally plucked up the courage and asked my hairdresser to turn me into a pink lady! When I first saw the finished results, I hated it ha ha, but because I'd been light for so long it was weird seeing such a drastic change! When I got home and started playing with and styling my new locks, I started to like it, and after about a week I fell in love with the colour! I'm so glad I was brave as I've not missed my blonde hair once! I'm not going to lie, having pink hair requires an awful lot of maintenance to keep it vibrant and glossy. Luckily, because naturally my hair is very light, the pink took well to my hair, meaning that it doesn't fade to a lighter, pastel shade of pink. When I had blonde hair I washed it every day because it'd get greasy very easily - and you could tell! Now my hair is a darker shade, I don't have to wash my hair every day which as well as being easier for me, it means that my roots won't come through as quickly. I've found that my roots start to come though after about a week and a half, so to hide them, I purchase a semi permanent hair dye mix from the Crazy Color range in the shade "Cyclamen". After putting the base colour on, my hair dresser would also use this Crazy Color dye to add to the vibrancy. She told me to use it whenever I felt that my hair colour was fading (as well as when my roots started to come through). If I didn't have this little pick me up (which is also at a reasonable price of £4 a bottle on the official Crazy Colour website) I don't think I'd be able to keep up with maintaining my hair at home. It covers my roots so well, and even though it comes out after a few washes - meaning that I have to dye my hair around once a week when my roots start to show - it just makes my hair look and feel so vibrant and glossy again! I've also found that a bottle of dye lasts quite a long time! Before I decided to have my hair such a bright colour I didn't realize how much care and upkeep it would require, but I love the colour so much and for me, it's worth it! 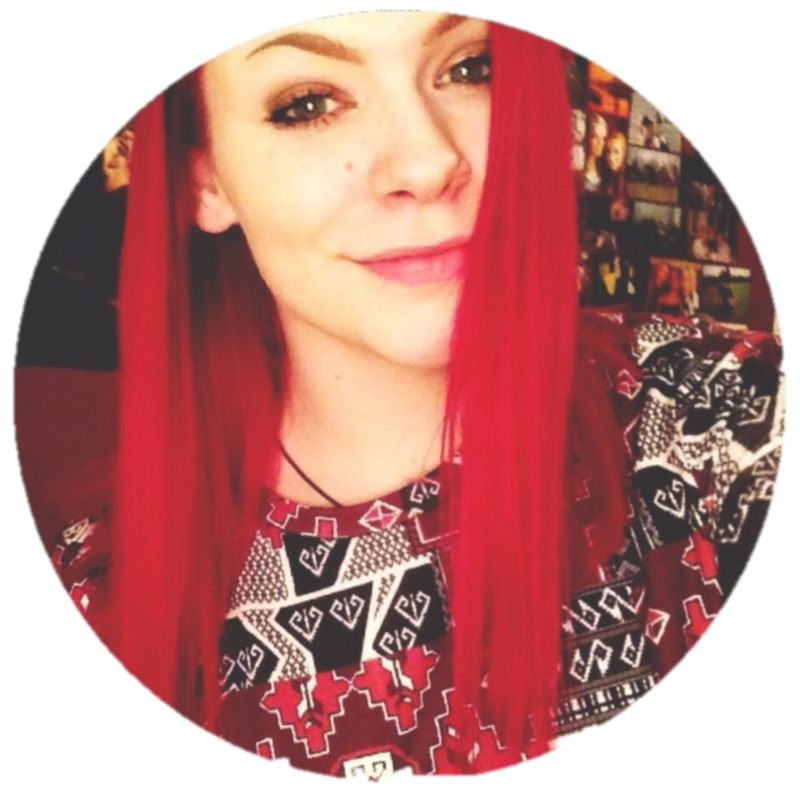 Have you ever dyed your hair a vibrant colour?! If so, do you have any tips and tricks I could use to keep my colour lasting longer? They'd be really appreciated! your hair is so lovely, I have dirty blonde but I want to dye it a light blonde one day or a pastel colour. Thought that might look nice. Really enjoyed your post ;) I'm on your blog for the first time but I will probably visit more often now, because it's so lovely. Thank you so much! If it's something you've been wanting to do for a while definitely go for it whilst you're young! I'm sure it would look lovely! :) Thank you, I'm so pleased you've enjoyed looking over my blog :) I must say I'm very jealous of the places you've been travelling to! Brilliant photography, too! I really enjoyed this post! You hair looks pretty amazing, I wish I could do that to mine, but my work doesn't allow to do it (I'm a lawyer). You have a really nice blog. Happy New Year! Glad you enjoyed reading it! Thanks so much, it was a huge change! :) That's a shame isn't it, maybe one day! Thank you, it means a lot! Happy New Year to you too! Wow your hair is such a beautiful colour! Mine's dip dyed purple at the moment but I'll have to get rid of it by the time I go back to work next week. I'll just wait for my next week off and do it again!